Community Reads Launches in July! We are proud to announce our "Community Reads" program. Modeled after the evidence-based "Raising a Reader" program, our goal is to inspire young people to love books because the adults in their lives read. "Community Reads" is an adult book club that features a book per month and hosts the author or a topic expert for a "chat". The adults are invited to bring their children (ages 3-8) who will participate in an interactive reading experience in a supervised environment. On July 24, 2014 at 6:30 pm, NRCEC welcomes Author and Speaker Kevin Kemp to chat about his book "Brain Tight: The Answer to Your Purpose". The event is free and open to the public. Mr. Kemp will have books available for sale. The books can also be purchased at barnesandnobles.com and on Amazon.com. The event will take place at the NRCEC offices located at 2700 Hanes Avenue, Richmond, VA. Please visit our website for other programs offered by NRCEC. Also, stay tuned as we expand "Community Reads" to include teens. For more information, please contact our office at 804-329-0191. Like us on Facebook at North Richmond Community Empowerment Center. Visit our website at www.nrcec.org to support our events and to donate. North Richmond Community Empowerment Center, Inc. has a mission and passion to empower its neighbors through education. We are committed to using all of our resources to strengthen the community by providing supplemental support to our schools, helping our seniors to remain engaged, and building a sense of pride in our neighborhood. What an important task we have taken on! Can you help us? The strength of any community is the people. When a group of people are committed to making something happen, and they work together, stopping them is like trying to stop a freight train...almost impossible. We don't dwell in the realm of "impossible". 1. 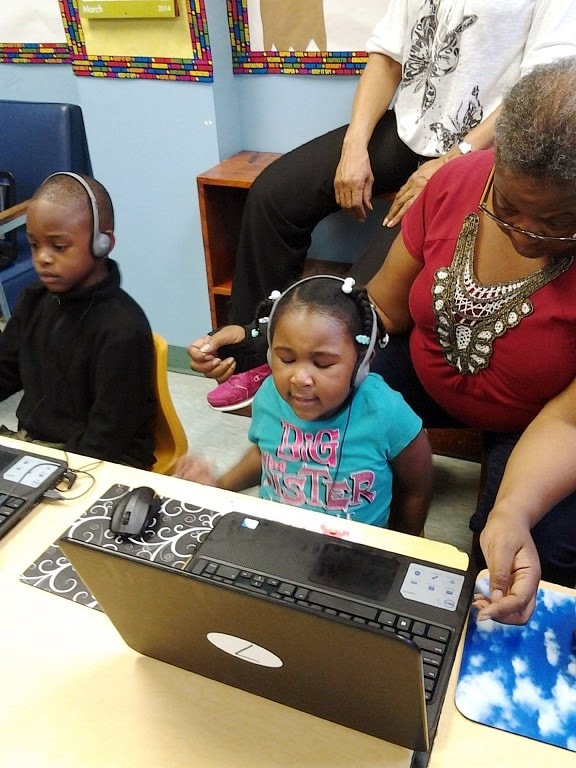 The Digital Learning Initiative: We are committed to growing our Saturday School programs by introducing more young people to computer literacy and increasing the participation of our Seniors (ages 50+) so that they can stay connected through social media and other electronic methods. 2. Strategies to Success: We are committed to sharing with our youth, ages 13-17, the keys to academic success and personal development. Our 8-session program will motivate the participants and help parents with new or familiar strategies to raising confident young adults. 3. Community Reads: We are committed to building a community of avid readers. This program uses the nationally known "Raising a Reader" as a model. We believe that parents and mentors who read raise children who are also in love with books. Our adults read monthly and engage in vibrant conversations with local authors or topic experts while their children participate in interactive reading experiences. 4. "2919 Project": We are committed to building a home. We are working HARD to make 2919 Griffin Avenue our new Community Empowerment Center. We ask for your help! We know that we can't do this without help from our community. We need all hands, hearts, and minds to meet our commitments. We know that with your help, it is all POSSIBLE. Our website is up and undergoing a "facelift". Still visit to see what we have going on and spread the word. Our Digital Learning Initiative at work!